Recently I watched the movie Moneyball, starring Brad Pitt and Jonah Hill and based on the book by Michael Lewis. I loved it and drew some parallels with B2B marketing. 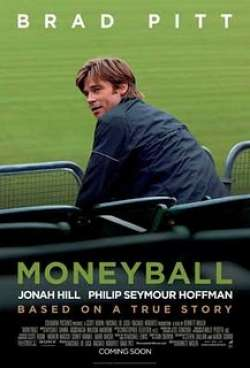 Moneyball tells the story of how Billy Beane, General Manager of the Oakland As, used statistical analysis to beat other teams with much larger recruiting budgets. Baseball decision-making was subjective and flawed and based on outdated statistics such as runs batted in and batting average. Rather, Beane found through statistical analysis that on-base percentage and slugging percentage are better indicators of success, and went on to recruit lower-paid, lesser-known players accordingly. Marketing is facing a similar situation. In the past, mad men, creatives and agencies based their success on awards, catchy headlines, intuition, appearances. But now with more technology-driven online marketing, marketers have hard data with which to make better decisions. New media marketers are heavy into marketing analytics that show results – or lack of results. And old-time agency folks who haven’t made the marketing paradigm shift, are fighting the change. Grady Fuson: Major league marketing and it’s fans they’re gonna be more than happy to throw you and Google boy into the bus if you keep doing what you’re doing here. You don’t put a campaign together with a computer, Billy. Grady Fuson: No. Marketing isn’t just numbers, it’s not science. If it was then anybody could do what we’re doing, but they can’t because they don’t know what we know. They don’t have our experience and they don’t have our intuition. Grady Fuson: Billy, you got a kid in there that’s got a degree in Economics from Yale. You got a marketer here with twenty nine years of marketing experience. You’re listening to the wrong one. Now there are intangibles that only marketing people understand. You’re discounting what marketers have done for a hundred and fifty years, even yourself! Marketing is definitely about numbers and definitely about computers today. But, just like in the movie Moneyball, it’s not all there is. When Billy Beane and the fictional character played by Jonah Hill (based on Paul Depodesta, New York Mets VP of player development and scouting) implement their new system of analyzing the numbers, Billy Beane actually increases his face-to-face contact with the players. When it comes to results, numbers talk and should drive decision-making, but when it comes to getting things done in business, there is nothing like good relationships. 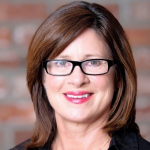 So, B2B Marketers – are you playing Moneyball? Or just resting on good ‘ole intuition? Previous post: Marketers: Are You Going to Accept B2B Boring?